Over the past two decades, J.J. Essen, owner of Essen Entertainment LLC, has established himself as one the most sought after Private and Public Event Entertainers in Texas! Essen has won numerous awards over the years for his service, performances, and professionalism. He has personally performed as a DJ, Emcee, Musician, Singer, &/or Songwriter on over 5,000 occasions and at over 1300 weddings! From the early age of 5 years old, music and entertainment have been Essen's calling! His passion for what he does and his dedication to Essen Entertainment's clients is beyond measure. No matter the venue, age group, or type of event, including weddings, corporate functions, birthdays, children's parties, fundraisers, bat/bar mitzvahs, quinceaneras, proms, restaurants, &/or live music venues, Essen Entertainment will provide the exact type of event services you are looking for. 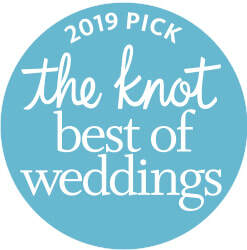 Essen Entertainment's mission is to help make your BIG DAY one of the Best Days of Your Life! This journey of planning your wedding should be enjoyable, easy, and fun! amazing and memorable in every way possible! PROFESSIONALISM First and foremost, Essen Entertainment provides professionalism with a properly attired, on time, and experienced DJ/Emcee and/or Musician. ALL of Essen Entertainments DJs, Emcees, and Musicians have a complete understanding of volume control, reading a crowd, and how to set the desired tempo for your event. CUSTOMER SERVICE & UNLIMITED SUPPORT Essen Entertainment encourages all of our clients to contact us at ANY TIME, before or after their event via email, phone, and/or text messaging. Essen Entertainment provides extra special attention to our clients, meaning you will never wait long for a response. CONTROL You will get a CUSTOMIZED PLAYLIST geared to your liking which can be pre-approved, if desired. Our ONE AND ONLY GOAL is to make sure that your event is the best it can be by providing the exact type of musical entertainment you desire. We will work with you beforehand to make sure that what we play is exactly what you have envisioned. ​EQUIPMENT Essen Entertainment provides STATE OF THE ART sound equipment, wireless microphones, a fog machine (if requested), and a dazzling dance floor light show. We can also provide, wireless LED uplighting, custom monograms, and photo booths. MUSIC You will have access to a MUSIC LIBRARY second to none! Essen Entertainment has access to any song from any artist, band, or year! This allows the ability for you or your guests to make ON THE SPOT requests in addition to your customized playlist. SAVINGS Unlike large DJ companies that are charging outrageous prices, Essen Entertainment is a SMALL BUSINESS with less overhead. This allows our clients to get the most competitive prices available. PAYMENT PLANS Essen Entertainment offers NO INTEREST FINANCING on all events booked at least 6 months in advance. We make payments as easy as possible by accepting: ALL major credit & debit cards, checks, money orders, PayPal, Venmo, and/or cash. PEACE OF MIND Essen Entertainment understands that planning an event can be fun, but it can also be stressful. Let us take care of ALL your entertainment needs, so you have less things to worry about. As a singer/guitarist, J.J. Essen specializes in playing intimate solo/acoustic renditions of hundreds of cover songs, spanning multiple genres and eras of music. Throughout his 25 year professional career, Essen has fronted numerous bands and has toured all over the world. He has been critically acclaimed for his vocal and guitar skills. Having Essen play live works very well at the beginning of events when people are arriving and/or mingling. Then, when you are ready, he turns to DJ and the real party starts! Essen Entertainment has other fantastic musicians available, upon request. *VISIT THE "LIVE MUSIC TEAM" SECTION AT THE TOP OF THE PAGE TO SEE ESSEN ENTERTAINMENTS MUSICIAN TEAM. J.J. Essen has been a professional songwriter for over 25 years. He writes and composes with and for some of the most world-renowned songwriters and artists all over the world creating music in many different genres; Essen has toured around the world playing music. He has taken his songwriting and singing experience and applied it to the private event industry. Essen will write a ONE OF A KIND ORIGINAL SONG specific to your occasion, based on your story and musical taste. ​You will also get a studio recording of YOUR SONG to keep forever! Photo Booths are a fun and interactive way to not only engage your guests, but also to provide them with a memorable memento and tangible token of your appreciation! Photo Booths are enjoyable for all age groups! Your guests will let loose and enjoy their Photo Booth session. If you are looking for a creative way to make your event truly unique, then our Photo Booth packages are exactly what you need! You can even customize your photo strips by adding your name, monogram, company logo, and/or event date. After the conclusion of your event you will receive digital images of all the photos taken! *Accommodates up to 10 guests per photo! What is Uplighting? Uplighting is a series of lighting fixtures, inconspicuously place on the floor throughout the room that project decorative beams of light from the floor onto the walls and ceiling. Uplighting can turn a boring room with plain walls into a unique and colorful venue, in almost any color! Essen Entertainment uses state of the art WIRELESS LED lighting that never gets hot. What is Monogram Lighting? Monogram lighting is used to create inviting entrances, focal points, within a room, or enchanting backdrop for your event using lights. Traditionally, the name of the bride and groom is projected onto a surface of the dance floor or wall. It is a very cost effective way of creating a unique and personalized wedding venue. Contact Essen Entertainment today for your personalized quote!